Register Now! Filling up fast! Audience marketers report for duty! The AAMP Digital Boot Camp (Friday, March 8, 2019) is a one-day focused workshop all about digital audience marketing! 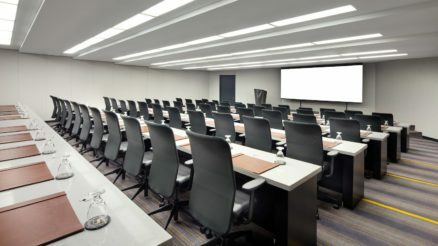 Meet other audience developers and digital marketing gurus to learn new digital marketing tactics, participate in interactive digital discussions, and connect with the latest digital marketing solutions. Who should attend: Audience Marketers, Social Media Managers, Website Developers, Data Analysts, Email Marketers, and anyone who wants to get more digital audience traction and revenue! Email, social, databases and more! 100% working seminar! This is a heads-down classroom setting! Each session is designed as a “digital marketing lab” with dynamic presentations, Q&A, and detailed feedback on your website, digital marketing campaigns, and specific challenges. Limited registration workshop for best interactions and learning! We will sell out! You’ll get lots of networking time, Digital Spotlights on specific tools, and takeaways you can use first thing Monday morning. Plus we’ll keep you fueled up with breakfast and lunch, then celebrate at the Digital Debrief Happy Hour! All Digital Boot Camp Attendees receive a Digital Audience Pro certificate! Only $99 for this full day of digital marketing training! $169 group rate! Have business in LA? The Boot Camp rate is valid March 4-March 11, take advantage! Stay in the “barracks” the night before Boot Camp and avoid LA traffic on Friday morning! 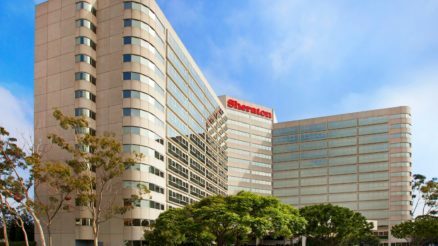 Room block now open at the convenient Sheraton Gateway at LAX — Book online or call (310) 642-1111 (mention the AAMP Digital Boot Camp rate). 8:30AM-8:45AM Digital Boot Camp: Fall In! 8:45AM-10:00AM SEO Fitness Test: Get the Right Traffic! 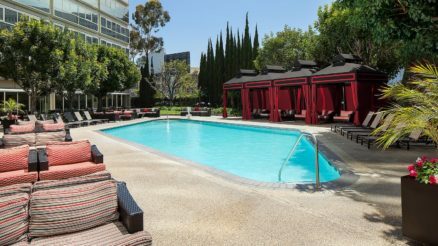 4:15PM-5:00PM Digital Debrief Happy Hour -- Poolside! The Digital Boot Camp sponsors are ready to assist your digital marketing roll out! Check out their systems and services for a 360 view of what’s possible — and what’s coming next. Use these on site resources to max your digital program! We’re whipping you (and your digital marketing plan) into shape in our Boot Camp training sessions! The Digital Boot Camp will focus into 4 key areas for digital audience success: Search Engine Optimization (SEO), Audience Data Leverage, Digital Acquisitions & Conversions, and User Experience (UX). SEO Fitness Test: Get the Right Traffic! SEO best practices are constantly changing — having trouble keeping up? Get ahead of the curve with this Boot Camp kickoff! We’ll review essential SEO table stakes, then dive into more advanced tactics utilizing user-focused optimization measurements and strategies. This session is designed to help you reach your brand’s revenue goals! Your marketing campaigns are only as strong as your best audience data! Learn how to build a solid database foundation, using clean data and logical structures to support dynamic outreach that also maintains your email server reputation. There seem to be endless choices you can make in digital marketing: organic and paid social, email, content marketing, re-targeting, search, programmatic display and more! So, what are these tools exactly and where do they fit into a digital strategy? In this session we’ll review these dynamic marketing channels and discuss how and when they can be used to start quickly and get immediate audience growth and revenue benefits! Walk through a demonstration of the tools and tactics learned in Part I, and see real-life application of a successful digital marketing strategy. Super interactive session — ask questions, challenge assumptions, and get a clear plan to use these target acquisition steps for your brand! Keep your hard-won audience (and continue attracting new followers) with a 360 degree User Experience (UX) strategy! Make every interaction cohesive, friendly, and easy at all audience touch points: email, online, social, and more. We’ll wrap the Boot Camp training with bonus tips, extra examples, and rapid fire Q&A with all speakers, and your digital peers. Use the digital brain power in the room to answer your final questions and fill in your notes! Take part throughout the day in Digital Spotlights and multiple networking breaks to make new connections, get amazing intel from our Boot Camp Sponsors, and round out your digital knowledge takeaways! Meet your Digital Boot Camp “Drill Sergeants”! These speakers are in the digital marketing trenches daily, and have the insights, strategies, and solutions you need for digital audience success! Melissa owns Twenty-First Digital, a full service agency focusing on audience development for brands, publishers and niche media companies. She geeks out 24/7 on digital marketing, and walks into work every day with her wheels already turning. Melissa guides her clients’ digital strategies and audience development efforts to drive traffic, engagement, and retention. When she isn’t nerding out in the digital world, she’s reading, listening to podcasts, and keeping up with her two children, both under the age of 6. Formerly the Audience Development Director of D Magazine, Melissa understands the key to audience growth is also monetization. She has held past positions at prominent regionals, including Portland Monthly and Seattle Met. She was recognized in 2016 as one of the Top 100 Most Important People in Media by FOLIO: Magazine. Jeff Levy is the former Consumer Marketing Director for the Harvard Business Review, where he leads global consumer marketing for the brand (HBR magazine and HBR.org). He is responsible for strategy and execution around brand development, member acquisition, engagement and retention utilizing digital and traditional media. Under his management, HBR has reached the highest growth levels in customers and engagement in the company’s history, launched a new social media strategy and developed with Editorial the company’s first experiment in customer community. Jeff was the Director of JewishBoston.com (Boston’s 2nd largest non-profit) and was the Founder and VP, Marketing of Mother USA/Tunefly, a subscription digital music platform. He has also held senior marketing positions at Comcast, AT&T, and Media One. Cassie is the Executive Director, Membership for Active Interest Media in Boulder, CO.
Cassie began her marketing career at Phillips Publishing in Washington DC. As one of the early employees of 5280 Magazine, she served as Executive Director, Audience Development, playing a critical role in making it one of the most successful regional publications in the country. She also served as VP, Digital Audience for Putman Media in Chicago. Chelsey is both an expert in audiences and a soulful creator, offering a rare level of insight into how content should be framed and structured. Her business development, content, and marketing work for publishers, non-profits, and agencies gives her a sincere voice and unrelenting attention to detail. A sucker for small teams with big hearts and conscious brand missions, Chelsey spends every spare moment reading, learning a new skill, or walking her french bulldog, Gus. A storyteller and romantic at heart, Travis has lived and breathed content production for more than a decade. He’s been a journalist, writer, and editor (for books, publishers, and brands), a live television and radio host, a videographer and audio producer, a lead SEO strategist, a social content director, and a lead agency content strategist for brands like Microsoft, American Red Cross, Avocados from Mexico, Orajel, and OxiClean. He’s the Poe Dameron of content — he can fly anything.